A choir at the top of its game is a wondrous thing to hear, and the latest CD from the Lyric label – 'New Dublin Voices: Music from Ireland' – reveals a choir in tremendous voice. Featuring fourteen pieces composed or arranged by Irish composers, this is a collection of new music that is as accessible as it is beautiful. Offering a mix of spiritual and secular music, 'New Dublin Voices: Music from Ireland' is sure to become a firm favourite. 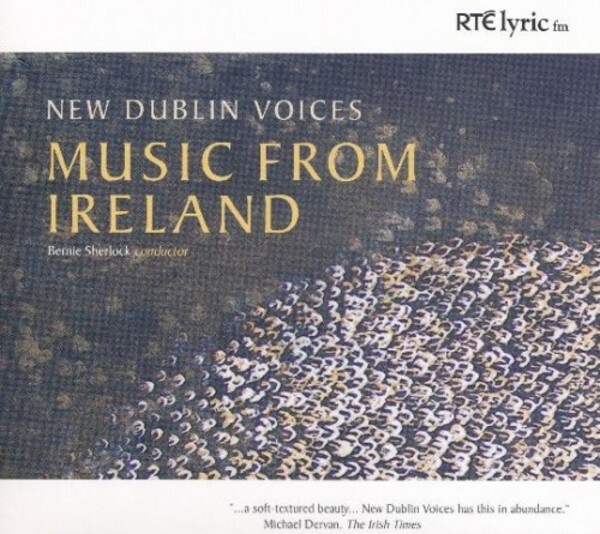 Works on the CD include Eibhlís Farrell’s Caritas abundat which gives a rich and soaring makeover to 800-year-old words about love, and beautiful arrangements of the traditional lullaby to the Christ child Suantraí ár Slánaitheora by Fiontán Ó Cearbhaill and Coventry Carol by Jonathan Nangle.